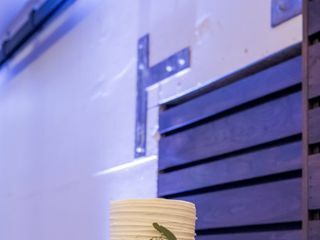 Cubes has won numerous local and national awards for their amazing flavors and decorating. Cubes' head baker, Kevin Moulder, recently one the first episode of Winner Cake All on Food Network. 15 Reviews for Cubes Baking Co.
Cubes Baking is AMAZING!! 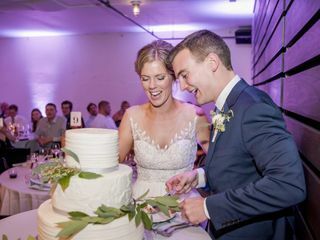 Not only was our Wedding Cake Beautiful it was also Delicious!! 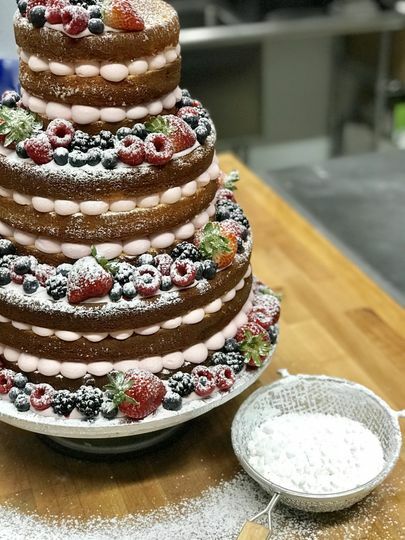 When we started looking at Wedding Cakes we saw a lot of bakeries that had pretty cakes but they tasted terrible and too sugary. 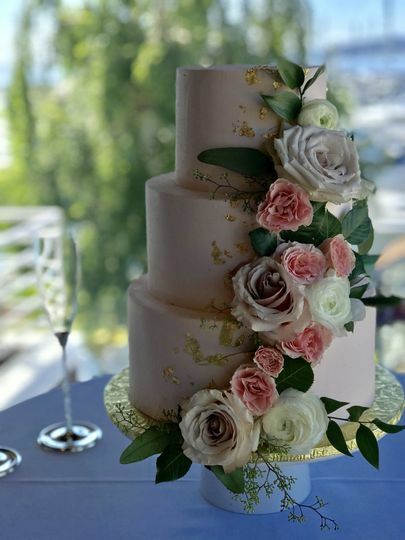 But from the moment we tried a Cube's Sample at the Tulalip Bridal Show I became obsessed with having Kevin do our cake. 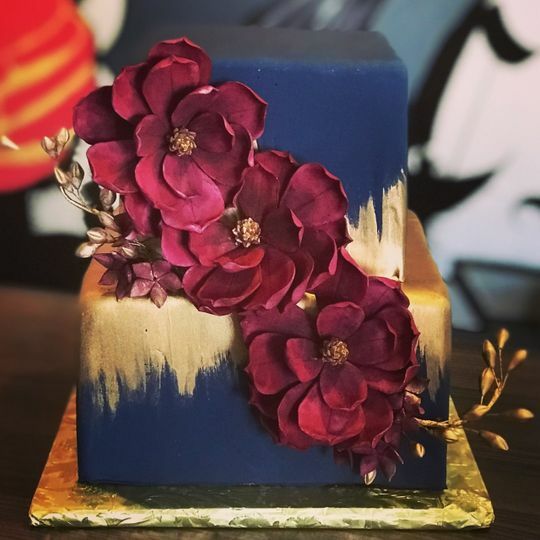 I am not even a cake person but couldn't stop thinking about how delicious his cake was. From the moment we met Kevin for our Consultation he was friendly and made us at ease. All of his cake samples were delicious and we had a hard time deciding but we went with Chocolate with Chocolate Mousse & Almond Buttercream, Vanilla with Raspberry Mousse & Almond Buttercream, and YUMMY Carrot Cake with Cream Cheese Frosting! We had 110 people and ordered plenty of cake and there was still only 3 pieces left. Everyone raved about how Fabulous it was. 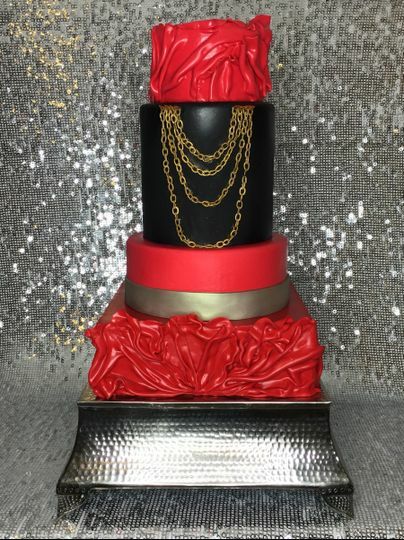 Not to mention the cake was a Beautiful 3 Tiered Cube Cake with Gorgeous Turquoise Satin, Bling, and designs on the buttercream. Kevin you are a Gem! Delivery was perfect for our Mt. Vernon wedding and it was Amazing!! Now my favorite place to go for a sweet tooth is Cube's Baking Co in Wallingford, check it out!!! We're so glad we went with Cubes! We tried a couple bakeries, but Cubes' sampler was full of amazing flavors and just plain great cake. 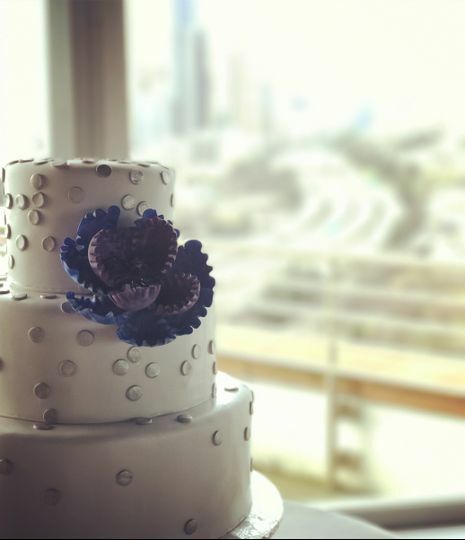 We had a hard time narrowing down which ones we wanted, but wound up with a two tier cake with Iced Cube on the bottom and Purple Suede on top. 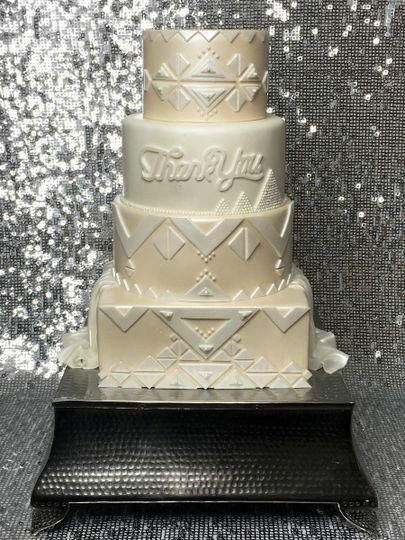 The icing and decoration was simple but perfect, and our guests raved about the flavor. Working on the design was an easy and fun process, and the cost was super reasonable. 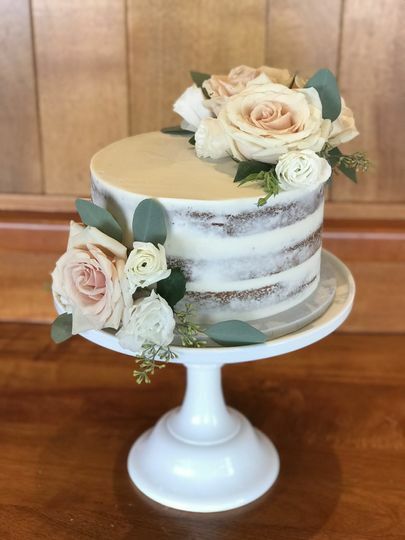 Would definitely recommend for anyone searching for a baker in Seattle! What an amazing find Cubes was for our wedding! Kevin was SO amazing to work with. 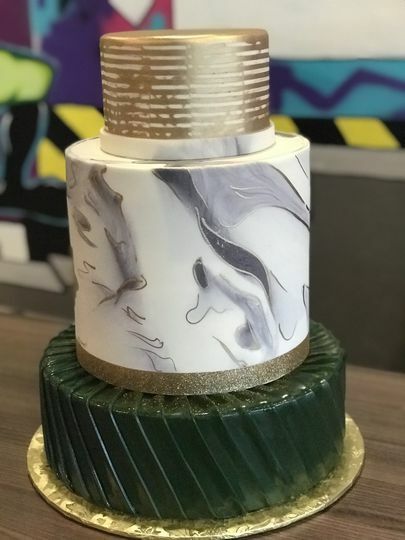 He met us twice to taste and talk through the design of the cake, and all of his cakes were so, so tasty. He can do a lot of unique things, but can also keep it simple if preferred. He was very responsive and patient when I had my indecisive times, but we couldn’t have been more happy with the result. 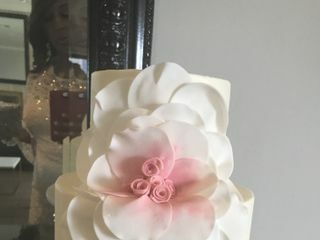 Everyone loved the cake, and we are already planning to go back for our 1st anniversary for him to make us a cake for that occasion. 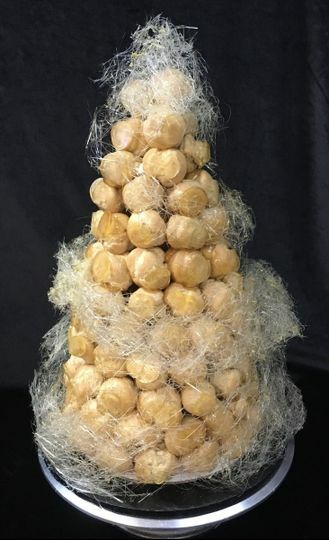 Not only is he fantastic at wedding cakes, but his local shop has some of the best pastries we’ve ever had! We couldn’t recommend Cubes enough – you won’t be disappointed at all!